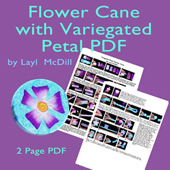 This two page pdf is full of photos that show every single step of making a beautiful flower cane that you can slice and bake into all kinds of projects. Layl McDill has taught this design hundreds of times and she's made it easy enough for the beginner and interesting enough for the polymer clay experienced. You can make the cane as large as you want because the measurements are in parts though Layl gives you a suggested size of about .3 oz per part. You get to choose your colors so once you've made one flower make another with new colors and soon you will have a whole flower patch of millefiore canes to play with. Layl has lots of free instructions to project ideas on her website at www.claysquared.com This pdf will be e-mailed to you within 48 hours of your order.  (when paying by pay pal you will receive it within 24 hours) Please do not make copies of this pdf or distribute with out prior permission. Here is a Silly Milly that uses some of these techniques.